Maybe it was the rebounding of the U.S. economy. Perhaps it was the allure of a Southern climate in the midst of a chilly Fall. Whatever the reason, the Building Component Manufacturers Conference (BCMC) in Charlotte earlier this month was a huge success. In fact, it was the biggest, best attended show BCMC has had in five years. It is fitting, therefore, that the conference’s theme was “gearing up for growth”, especially since the U.S. construction industry appears to be doing just that. It comes as no surprise to us here at Keymark that things are improving. Like everyone else, we’ve been watching the slow but steady turnaround in the U.S. economy and the construction industry. 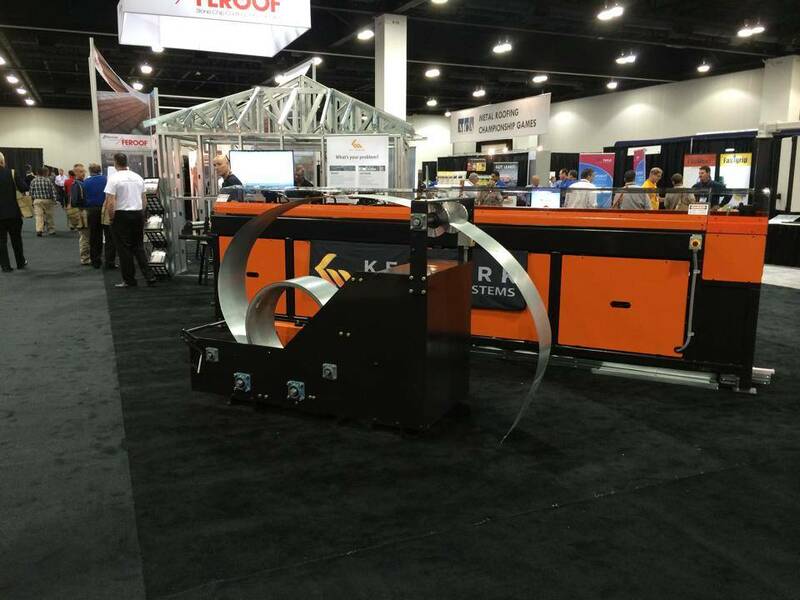 What was a pleasant surprise to us at this year’s conference, however, was the number of wood-based construction companies looking to branch out into light-gauge steel (LGS) framing. Like the U.S. construction industry itself, it looks like the “Gospel of Light Gauge Steel” has begun to catch fire. The time has come. The appeal of light-gauge steel as a strong, stable, long-lasting, cost-effective, and environmentally friendly framing material can no longer be denied. For all of the reasons cited above, Keymark chose BCMC as the time and place to unveil KeyTruss, our radical new in-plane truss design. It turns out that our timing was just right. 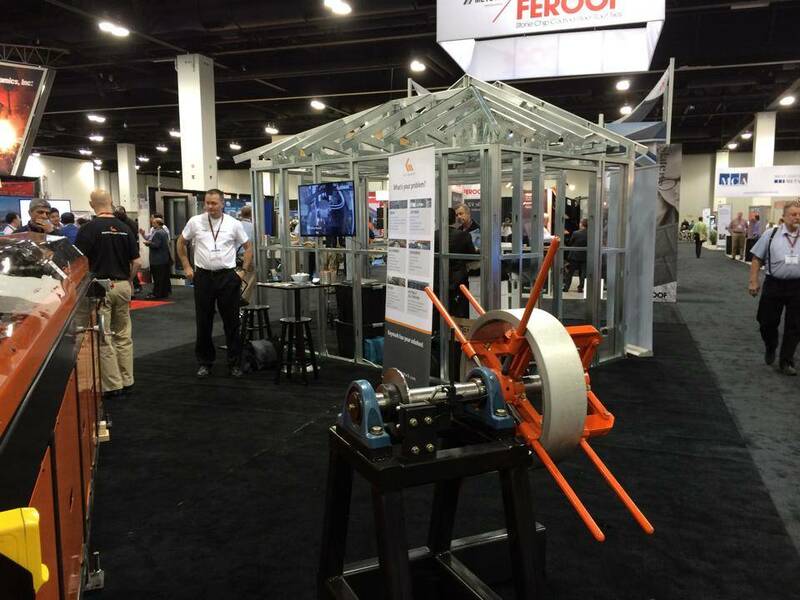 Sure, many conference attendees showed interest in the lab-tested strength and versatility of KeyTruss. But, if truth be told, it was KeyTruss’s promise of up to 30% savings on material and labor costs that that garnered the lion’s share of attention. Why such a focus on savings in a rebounding industry? Well, our guess is that, if the beleaguered market of the recent past has taught the U.S. construction industry anything, it’s how to “pinch a penny.” And that’s a lesson not likely to be forgotten, even as the industry regains its strength and momentum. Don’t miss the boat and, most especially, don’t miss out on the savings. 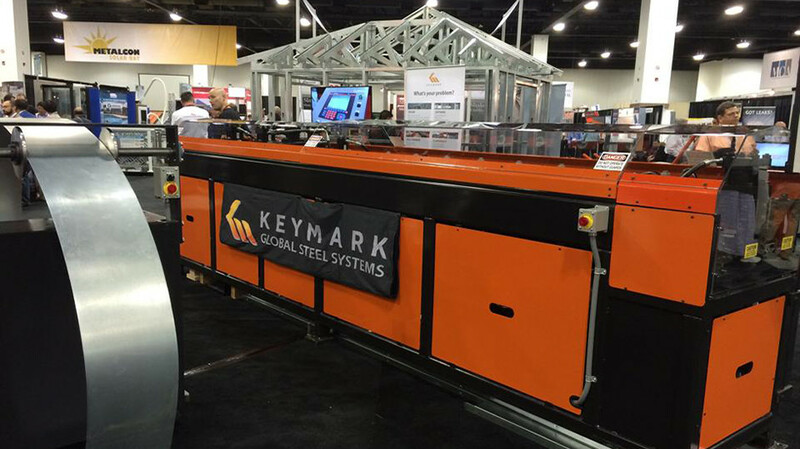 Give us a call here at Keymark, and let us show you how KeyTruss and LGS framing can contribute to your company’s bottom line and your customers’ satisfaction. I was in Manaus, Brazil recently and stayed on the tenth floor of a hotel that faced an 18 story building under construction using block and mortar. Since the outside walls were not completed, I could view the construction process with a “section view”. There was a single elevator that could carry a small set of blocks and a tub of mortar up to any one of the stories at which laborers waited for materials. Most of the laborers I saw in “section view” were in serious wait mode. Later during my trip, I visited several sales offices for high rise condominiums and low rise custom homes. What I learned during my visits was that I could place an order for a place to live, but that I would have to wait somewhere in the neighborhood of three to four years for my new home to be done! David Israel owns an intriguing resort named Ecopark that is in a protected Amazon forest separated from the city of Manaus by a tributary of the Amazon River. David wanted to expand his resort by building a sixplex he could rent to visitors coming to Manaus for the World Cup. Three or four year lead times could not figure in the plan. 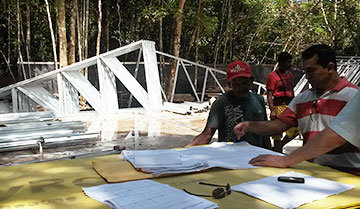 David needed his building, he needed it fast, and there was no one who could deliver in Manaus quickly. Here is what happened in four months… A design was created for David and the entire steel frame engineered in Boulder, Colorado. A firm bid was created for the complete build process for David’s structure. 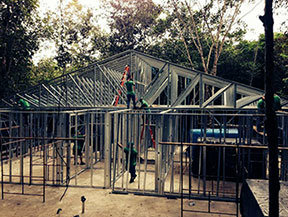 All the steel framing was roll formed in a plant in Dallas, Texas. The steel was loaded into a container which was driven to Houston. 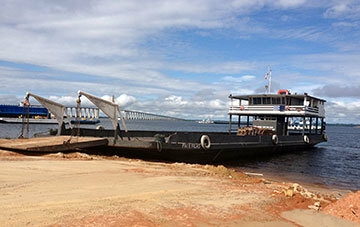 The container was shipped all the way to Manaus. 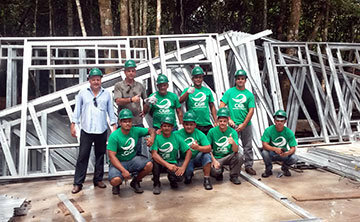 The steel was unloaded and manufactured into components in a Manaus warehouse. 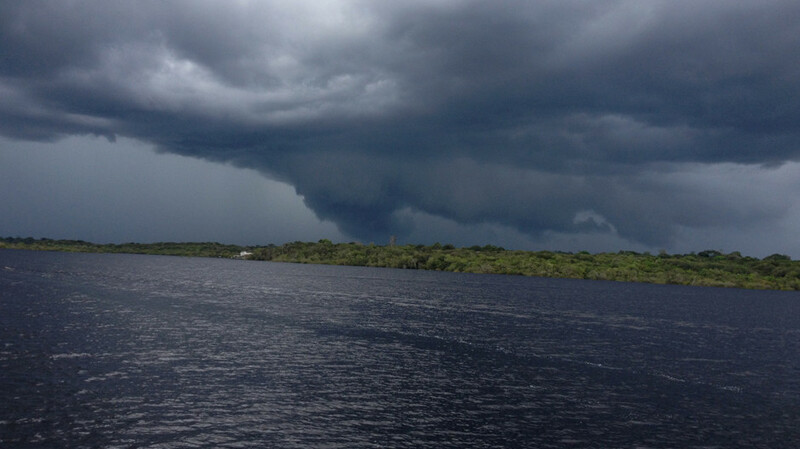 It, and other materials shipped from the States, were then barged across the river to Ecopark. The building was then erected. Look at what was possible with well executed light gauge steel framing technology. A multi-unit structure was designed, engineered, roll formed, shipped, assembled, delivered, and erected across two continents and a major sea at lower cost and in a fraction of time that the build process would have taken using the alternative of block and mortar. People of this region finally have the choice to own an eco-friendly, well insulated, mold resistant, affordable and quickly built home.The “possible” is amazing. It is at hand. We made it work. It is available for everyone to see. Reach out to us and let us share with you how technology can bring you opportunity and help to house the world. The construction business in America is mature. Suppliers are everywhere. The bid process is competitive. Intense competition assures that profit margins don’t get carried away and that builders generally have access to a competitive set of suppliers. At the same time, we believe that the U.S. has also been leading edge in developing technologies for construction and that, through our system of government oversight – adoption of model building codes, establishment of building departments, plan review and permitting – that we make sure we build a very high quality safe class of building while building competitively. Since September of 2013, there have been 43 serious fires in the Dallas Fort Worth Metro area. On March 22, there was a four alarm fire in Irving that destroyed 30 apartments. Four people lost their lives. In a competitive market for low rise light framed construction, wood framing is generally used as the lowest cost solution. It is sometimes mandated that light gauge steel be used as in the case of assisted living centers. 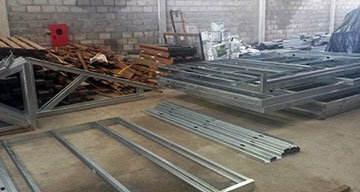 Life safety concerns drive the specification of light gauge steel in these cases. In light of the instances just sighted involving not just the catastrophic property loss, but the loss of life as well, it just makes common sense to consider revisiting current policies and practices regarding the prevailing practice for framing materials. If it’s mandated that light gauge steel be used in assistant living centers, why aren’t more builders using this technology in other structures? Better, faster, cheaper building would require effective and efficient front-end design. It would start with a comprehensive, integrated suite of Building Information Modeling (BIM) software, enabling users to design buildings from foundation to roof peak, using materials that are engineered just to specification and not beyond. Better, faster, cheaper building would require the services and support of qualified architects and engineers, able to answer questions and provide services on demand – where and when needed. Professionals able to assist with Building Information Modeling (BIM); with mechanical, electrical, and plumbing (MEP) systems design; with structural engineering, energy analysis, material specification, and documentation. Better, faster, cheaper steel-frame building would require high-quality, efficient roll formers and controllers, integrated with the user’s design software and fine-tuned to minimize labor costs and materials waste. Lastly, but perhaps most importantly, better, faster, cheaper building would require all of these products and services be provided and supported by a single vendor. A company with the depth and breadth of knowledge and experience to bring all of these diverse elements together, working in sync as a single, unified whole. “Impossible!” you say? “Can’t be done.” The fact of the matter is, it has been done. Keymark Enterprises is the one and only company that fulfill all the requirements for making better, faster, cheaper building a reality today! As I said, I used to wonder, “What if we could build better, faster and cheaper?” Now, I find myself simply asking, “Why not?” Why not build better, faster, and cheaper? Why not make your business more efficient and profitable? Why not increase your customers’ satisfaction and decrease their costs and your own? 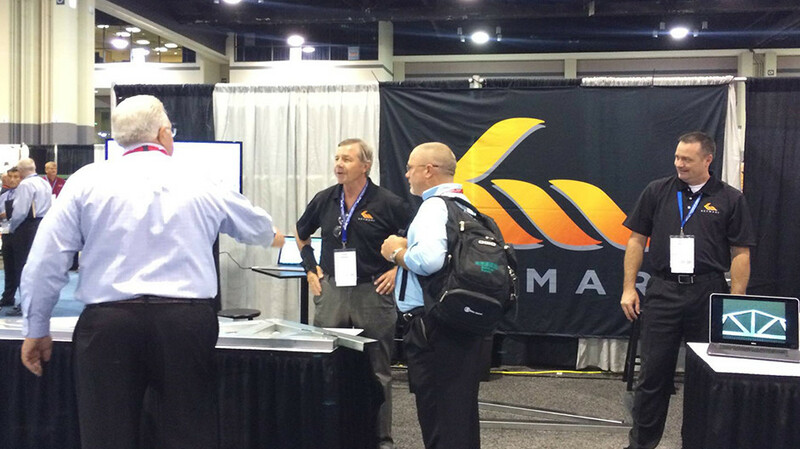 Why not put Keymark’s software, machinery, and professional services to work for you? Perhaps you have a few questions of your own. The good folks at Keymark are standing by with answers.